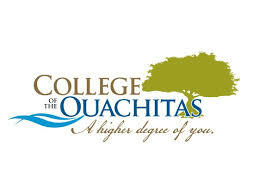 College of the Ouachitas in Malvern (Hot Spring County) is a comprehensive two-year college in south-central Arkansas. In addition, the college, oversees the Ouachita Area Career Center (OACC), post-secondary programs in cosmetology and nursing, the Ouachita Area Adult Education Center (OAAEC), and the Workforce Center. College of the Ouachitas is accredited by the Higher Learning Commission and is a member of the North Central Association of Colleges and Schools (NCA). The college continues to provide high-quality training for high school students, to offer basic education for adults, and to meet the needs of business and industry. Ouachita Area Career Center has programs in automotive service technology, cosmetology, industrial equipment maintenance, medical professions education, criminal justice, power equipment technology, and welding. Ouachita Area Adult Education Center holds GED courses, offers English as a second language classes, sponsors Workforce for Growth in the Economy (WAGE) training, provides Even Start education, and operates a Career Pathways office. The Workforce Center offers customized courses for area employers, teaches electrical apprentice classes, and sponsors continuing education programs.